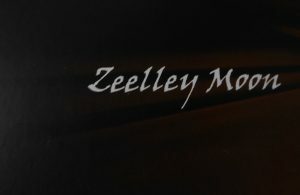 Zeelley Moon is the vehicle for boards man and singer Patrick Molesworth’s original song writing exploits. Pat is a gigging muso in local bands and this comes across in his playing. I always appreciate the competence of seasoned musicians and this collection of ten mostly upbeat tracks is filled to it’s seems with them. 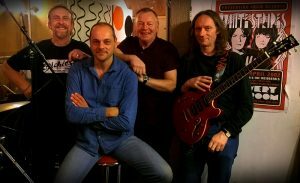 Apart from Pat himself playing keyboards, piano, singing and orchestration, he has drafted in band mates and associates to add real guitars, drums and bass. Despite their lack of celebrity Pat and cohorts pack a mean punch and are as polished as bands who enjoy more notoriety. Pat has drawn from his passion for many different musical forms including Pop, Prog, Classical and even one of my favourites, soundtrack music. It shows too. Many of the compositions here possess a melange of styles and inspiration. Once again Pat’s piano steams along like an express train with Tricks And Tragedy, which according to Pat should have been the name of the album as this song considering it’s lyrical content is the premise for the whole project. 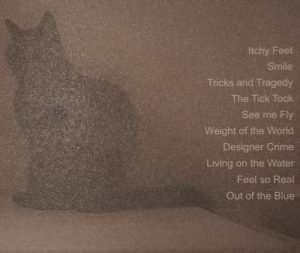 The middle section of Tricks And Tragedy has a guitar solo to die for and a credit to guitarist Tony Dubinski. What i found in general with the songs of Zeelley Moon is that they all have substance. there is little ambiguity containing lyrics easy to interprate. Clear messages are laid bare as in The Tick Tock which suggest living for today and the things we do for recreation can sometimes be interrupted by the things we need to sustain such pastimes like work etc. See Me Fly hints at insomnia or simply not being able to sleep because your’e wired and want to run a marathon. This may be self referencing on Patrick Molesworth’s behalf though it is the impression given by the cover art and the words. What See Me Fly majors on is pace and rhythm and certainly has my foot tapping. I do have to admit that i was a little confused by the track listing on the rear of the cover as the middle section of See Me Fly is the song weight Of The World which slows the pace a little and thanks to Tony Dubinski’s guitar licks puts Zeelly Moon into Camel territory before a reprise of the main theme. 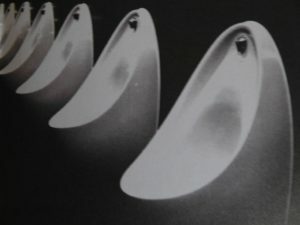 Borrowing a couple of lines from Roger Waters album Amused To Death, Designer Crime puts the foot firmly back on the gas. With an electric piano that would not be out of place on any Supertramp album this song is not shy on grit turning as it does into quite a stomp courtesy of Geoff Bolam’s powerful guitar. Whether or not Designer Crime is a nod and a wink to Roger Waters is debatable though i suspect it is the result of one of the many musical and artistic influences evident in Pat Molesworth’s canon. Further evidence of this is Living On The Water. This really is blues at it’s best with dreamy lyrics, some great synth and mean guitar. A joy to listen to. However, pushing my Pink Floyd comparisons to the limit Feel So Real is a treat on the ears. Geoff Bolam switching to bass he adds some scary subsonic moments the vibration from which travelled through my seat. It isn’t too long before Feel So Real turns into another great blues song with a blinding guitar solo though it is Pat Molesworth’s voice that make both the song and the album it’s individual flavour. Anyone who enjoys the music of Steve Winwood may well be at home here as Zeelly Moon bares all the hallmarks of his style. With all stops pulled out for the big finale, Out Of The Blue is a large scale production. Cinematic to the point of being epic, yet another of Pat’s influences being film scores. This song would sit nicely at the end of a movie so it is fitting that it brings to an end such an upbeat diverse sounding album. Even the sound of the waves crashing to the shore in the closing moments added to the fresh and breezy nature of Zeelly Moon. With such a collage of styles included, i found Zeelly Moon as easy to listen to on the move as well as sat in front of my Hi-Fi system. There is certainly a feel good factor about this collection of songs and i genuinely felt uplifted following every play. I found it very easy to be enthusiastic an artist such as Pat Molesworth and supporting musicians because they represent true independence making good music without reliance on record companies and the music industry machine. I heartily recommend that you sound out this album It really does hit the spot. Downloads from CD baby, i-Tunes and Amazon for 99p per track.